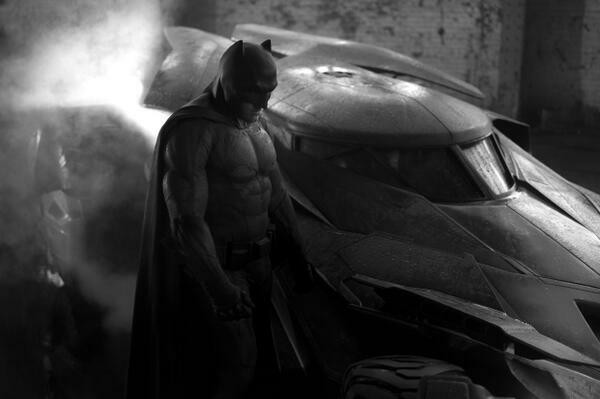 –Ben Affleck became a trending topic today thanks to the new Batman photo that surfaced. I think they were going for “world weary,” but “chunky” seems to be the adjective everyone’s sticking with. -Meanwhile, this photo is reportedly from security camera footage of Ben Affleck counting cards, which got him tossed from a casino. –Beyoncé and Jay Z tried to do some damage control by turning on the smiles at a Nets game last night, but speculation about the elevator fight continues to run rampant. One report suggests Solange hit Jay Z after he tried to go to Rihanna’s MET Gala after-party without Bey. Another report claims Solange was provoked by designer Rachel Roy before getting into the elevator. –Olivia Wilde has waded into the fray for some reason to slam the “trashy, shady” leaked footage. -Meanwhile, Kelly Rowland’s secret wedding to manager Tim Witherspoon was revealed in what may be the worst timing ever. -Just in case you thought all this family drama made Jay Z and Beyoncé just like us, they’re considering giving Kimye a yacht for a wedding present. –Will and Jada Smith need to start forbidding their kids from posting photos of themselves in bed with other people. Today it’s Jaden’s turn. –Joseph Gordon-Levitt is dating a girl? Huh. –Angelina Jolie’s makeup malfunction is the latest proof that stars should stay away from translucent powder before hitting up a carpet. -Is Shailene Woodley’s foot really that long, or is this some photoshop f*ckery? –Billy Eichner should always have former contestant Elena on Billy On The Street. I heart her. –Alec Baldwin was arrested earlier today for riding his bicycle the wrong way — which is kind of hilarious. –Macaulay Culkin wore a T-shirt of Ryan Gosling wearing a T-shirt of him — which led to someone ‘shopping a photo of Ryan Gosling wearing a T-shirt of Macaulay Culkin wearing a T-shirt of Gosling wearing a T-shirt of Macaulay Culkin. My head hurts. –Clay Aiken has been declared the winner of the North Carolina congressional primary after his opponent died suddenly. So, that happened. -Also weird: radio legend Casey Kasem might be being hidden in Canada. –Channing Tatum has just been confirmed for the role of Gambit in future X-Men films — and people are super unhappy about it. –Gwyneth Paltrow and Chris Martin consciously recoupled for Mother’s Day. -Meanwhile, Heat magazine has a photo of Chris Martin and Alexa Chung having dinner together. -Here’s a new look at Amal Alamuddin’s engagement ring, just in case you needed to be knocked down a couple of notches today. -A Harry Potter spinoff called Fantastic Beasts is set to hit theatres on Nov. 18. –Michelle Williams has split from the guy none of us remembered she was dating. -I kind of love that Hugh Grant and Liz Hurley are still besties. -Fox’s upcoming show Red Band Society seems to be getting a ton of buzz. It’s like The Fault In Our Stars for TV.